Going through the probate process in the state of Washington can be a time-consuming and an expensive legal undertaking, one that keeps heirs and beneficiaries from their inheritances for a longer time than anyone wants. However, the state of Washington does not require your estate to go through probate—and in most cases, there are plenty of legal ways to avoid the process altogether. The key to avoiding probate in the state of Washington is fairly simple: use a comprehensive estate plan. Washington has made it easy for most people to avoid the probate process, with many legal tools that are available to make asset transfer simple and pain-free. A living trust. A living trust is the cornerstone for many estate plans. By storing your assets in a revocable living trust, you maintain control over your property while you’re still alive, and after you die, your assets can pass directly to your beneficiaries without going through the hassle of probate court. An irrevocable trust offers less flexibility to you, but it may grant tax benefits to your estate. A community property agreement (CPA). If you’re married and want your spouse to receive all of your property should you die first, a CPA may be the right option. This document converts all of your property into community property when you pass away, allowing your spouse to receive your assets directly without going through probate. Note that there are certain advantages and disadvantages to a CPA that are worth your careful consideration, so talk it over with your spouse first, as well as with your estate planning attorney. A transfer-on-death deed (TOD). A TOD or beneficiary deed is a great tool to make the transfer of real estate less complicated, and it’s relatively new to the state of Washington. This type of deed allows you to name a beneficiary who will receive the deeded property when you die. There is no need for the probate process with a TOD, as the property transfers directly. However, the TOD deed does have some strict requirements that have to be met for it to be legally binding. A last will and testament is also a powerful part of your estate planning arsenal. Even if you rely on living trusts and other legal devices, your will can serve as a sort of catch-all safety net, in case some assets and property aren’t named in your other estate planning documents. There are also certain assets that don’t need to go through probate at all such as designated beneficiary accounts like life insurance policies and some retirement plans. These assets already have a named beneficiary, and so they transfer automatically upon the death of the owner. 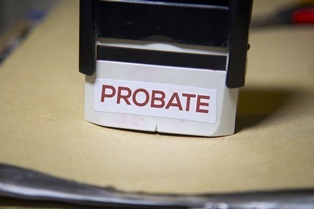 Avoiding probate is generally in the best interests of heirs and beneficiaries. Good planning now means that when you die, your family will be able to receive the maximum portion of your assets available under the law, without waiting months or even years for probate to complete. However, every situation is different, so you should consult with an experienced estate planning attorney to be sure you’re making the best choice for your family’s future. If you have any legal questions about your estate, would like to review your estate plan, or are ready to create a new one to protect your family’s future, the Law Offices of Molly B. Kenny is available to help you. We have been serving Washington state families for decades, and we are here to guide you through the estate planning process from start to finish. To arrange a private consultation with an estate planning professional at our Bellevue office, please call us, or use our contact form to send an email today.